TheGunBlog.ca — Paul Kahnert began shooting after he retired from work six years ago and now competes in the precision-rifle sport of F-Class as he recovers from cancer and as a member of Canada’s national team aiming to win the 2019 championships. Kahnert spoke with TheGunBlog.ca yesterday at Solely Outdoors near Toronto. 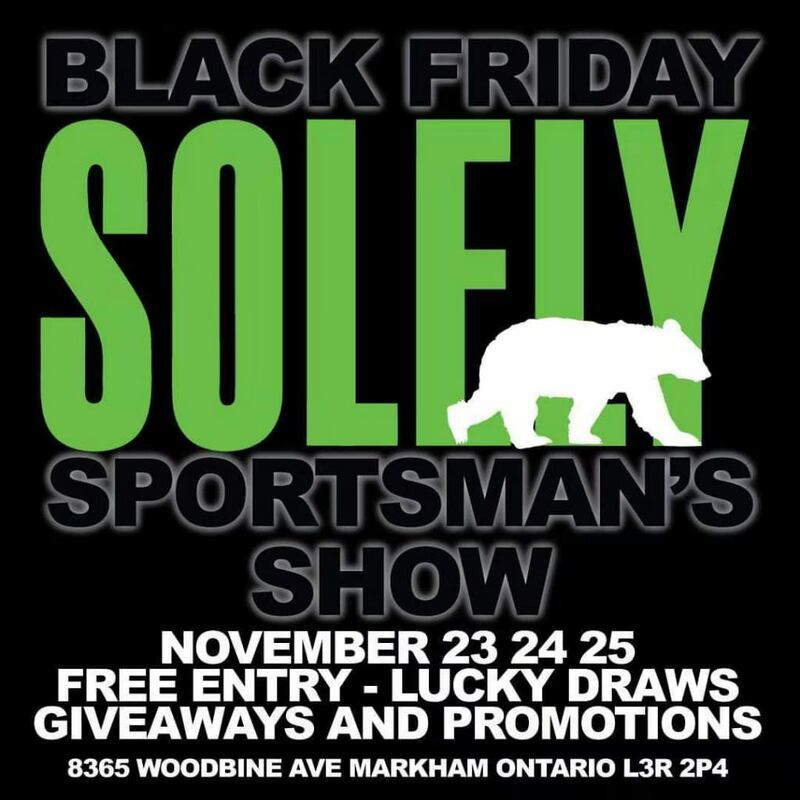 He was present for the store’s sportsman’s show and Black Friday sale. 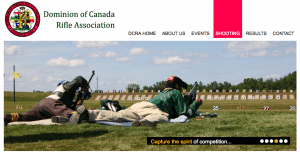 Screenshot of Dominion of Canada Rifle Association F-Class webpage. The Bull is a 10-inch circle worth 5 points, and equivalent to about 0.5 minutes of angle (MOA) at 1,000 yards. The innermost ring is the “V-Bull,” a 5-inch circle worth 5.1 points corresponding to about 0.25 MOA. The following interview was edited for clarity. How did you get into F-Class? I started shooting when I retired. I’ve been doing it for six years. I found a long-range course under the ORA [Ontario Rifle Association] in Burlington taught by Bob Raymond. He put me on the right path. There’s that old proverb, “When the student is ready, the teacher will appear.” That’s how it works. Everyone tells each other their loading secrets. I spent all of 2017 in hospital with cancer. I had chemotherapy and had a stroke from the chemotherapy. This sport has been fabulous for therapy and fine-motor skills. You have to measure your ammo to 1/1,000th of an inch. If you want to learn to be competitive, you have to learn to shoot in the wind, and manage temperature and humidity. When you’re whacking the V-Bull, it’s the best feeling in the world. 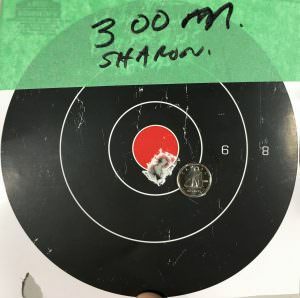 Paul Kahnert’s target showing 4 shots at 300 metres at Sharon Gun Club, Ontario. What calibre do people shoot? A lot of the guys shoot .223. I shoot .308. I would say 6.5 Creedmoor is naturally the most accurate round. Other guys shoot 7 mm. I hand-load all my ammo. That’s quite an art. Load testing never ends. You get to be a junior scientist, checking depth, headspace, weighing primers, measuring neck tension, and so on. Headspace is critically important for accuracy. I know my headspace is right when I drop the bolt and it falls three-quarters of the way, and I can lower it the rest of the way with my pinky. You weigh your primers … for consistency? Yes, for consistency and accuracy. The primer contains the explosive, and you want to make sure you have the same amount of explosive in every round. I guess your rifle is one of a kind. Can you say who built it? Chou Brothers Precision in Aurora [Ontario]. Scope: Nightforce Optics NXS 8-32×56. Most of the time I’m at 24 power because of the mirage. Some days it’s like a waterfall. Do you shoot anything else, handguns or whatever? What brought you to Solely Outdoors today? I know Maya and Chris [the managers]. They asked me to come down, talk about the sport and answer any questions. Where can you shoot F-Class? There aren’t a lot of 1,000-yard ranges near Toronto. [Canadian Forces Base] Borden [near Toronto], Connaught [Ranges near Ottawa], and a few places in B.C. We’re not like the U.S. where there’s a 1,000-yard range on every street corner. Paul Kahnert’s target shooting a Tikka T3 Varmint Stainless at 100 metres. How much does it cost to shoot for a season? It’s about $2,000, or about $1 a round. An F-TR (Target Rifle) match is usually about 45 minutes. You get 2 sighters, 15 shots on score. The sighters are convertible, meaning if I like them, I can convert them into my first two shots. You shoot as a team, taking turns. You get 45 seconds per shot. A competition lasts three days, and you shoot 150 to 200 rounds. At the Canadian nationals you shoot about 250 rounds. It’s my goal to win the Canadians next year. It’s just work. How do you approach competition? On competition day, the only thing that matters is confidence. It’s one shot at a time. All I ever think about is my next shot. Sometimes you’ll have a trainwreck. There’s that saying, “You’re either winning or you’re learning.” When my coach says, “What did you learn today?” I hate it when he says that because it means it’s a trainwreck. Can you say more about mental management? I’m looking through my scope and also visualizing my shot. When I see a shape change on the flags, I know I have to do something. Is the wind more or less? Is it full value, or half value? Direction change? I take a mental snapshot. What do you recommend for mental management? How Champions Think, by Bob Rotella. This is the bible of the mental game. You prefer that over Lanny Basham (the go-to for many Olympic and high-level shooters)? Yes. This is the bible. For me, the words jumped off the page. What do you think of the current political climate in Canada, with the government preparing new prohibitions and restrictions and considering new gun bans on sport shooters? If they take handguns and semis, then they’re coming after bolts. In my sport, nobody would ever do anything to dishonour the sport. What a great group of people. They are the safest, most-responsible group of people you’ll ever meet in your life. Politicians need to know that. I take anti-gunners to the range. By the time they leave, it’s a whole different person. They’re coming away with a whole different perspective. How can someone find out if F-Class is for them? The ORA [Ontario Rifle Association] has intro days run by Des [Vamplew]. You have to watch for it because it fills up in an hour. You get to shoot at 300 and 500 yards. The ORA shoots on Wednesdays at Borden at 1,000 yards. You need 50 rounds and a scope, load one at a time. What kind of rifle could someone use to get started? The Tikka T3 Varmint Stainless is less expensive and probably one of the most accurate off-the-shelf rifles. Tikka T3x Varmint Stainless. Source: Tikka.